The days are getting shorter, there nights are getting longer, and the time for merinos and jackets is coming up. Time to dig out your wool stash, and sew some warm cozy things for the coming winter – or have one last splurge of summer sewing! Luckily for you, I have great classes coming up that cover all spectrums of the warm-to-cold weather, and all spectrums of sewing skill! For the absolute beginner there are monthly Absolute Beginners Sewing Sessions – fun, easy, worry free introductions to sewing. Even if you have never been on a sewing machine before, you’ll learn to make a drawstring bag, a cushion cover with a zip, and pajama pants. As of the writing of this post, there are just two spaces left in April (Friday evenings), and a few in May (Monday evenings). Register early, as Absolute Beginners Sewing classes always fill up! 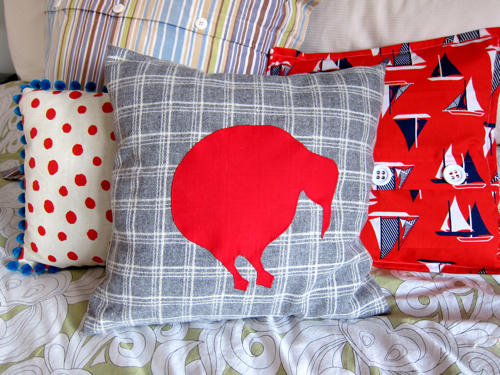 For the just-out-of-Absolute-Beginners, or for those who have been out of sewing for a while, and want a refresher, but have too much experience for Absolute Beginners, Home Decor: Cushion Covers (Thursdays 14, 21 & 28 April) is designed just for you. We’ll cover all the sewing basics, including two different kinds of zips, buttonholes, and machine applique as you make three fabulous cushion covers. Another great refresher course or follow-up to Absolute Beginners is Intro to Garments: The Button-Front Blouse (Tuesdays 12, 19, 26 May). The class will cover the basics of following a pattern, as you learn skills like darts, facings, over-stitching, narrow hems, and buttons and button-holes. 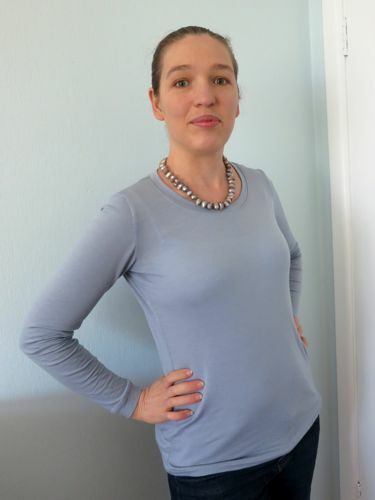 Slightly more advanced sewers (or very advanced ones who have just never sewn knits) just have time to register for Intro to Knits: the Basic T-Shirt (Thursdays 26 Feb, 5 & 12 March) to make a last summer T, or first merino of the winter. Also for intermediate sewers (and also one where you’ll need to register ASAP! 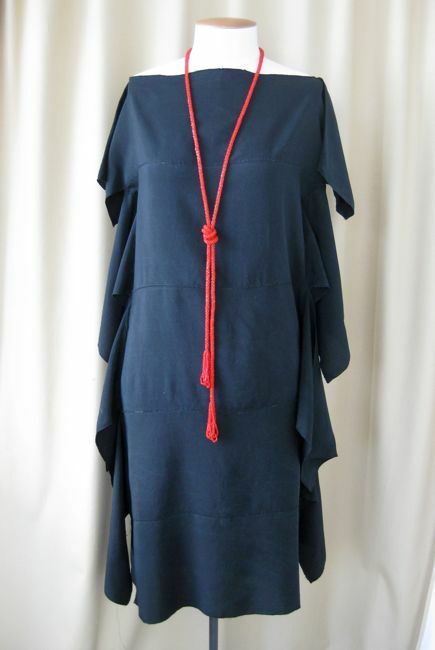 ), the 1920s Vionnet Chiton panel dress class (Fridays 13, 20, 27 March) is easier than it looks, and a great introduction to pattern drafting. We’ll cover basic pattern drafting, working with ease, and a series of vintage couture techniques which have been adapted for modern machines. And, best of all, the dress is amazingly fun to wear and looks great! The Henrietta Maria Tuck-Pleated Shift Dress (and Blouse) (Mondays 23, 30 March, 13 & 20 April) is another intermediate level class. It’s easy to make, very adaptable, and a great addition to your wardrobe. 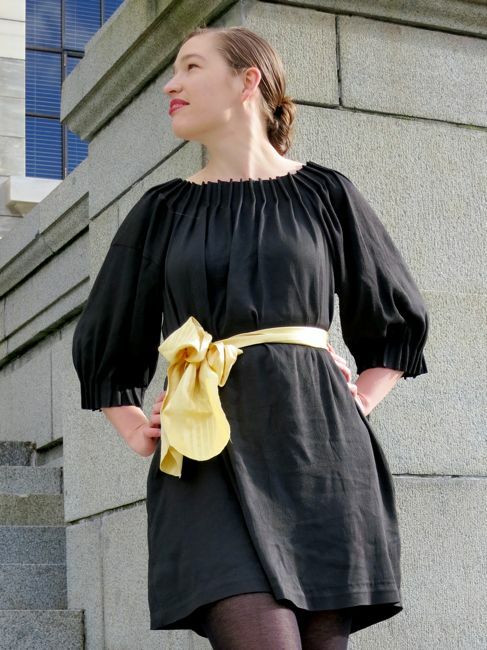 Make it in wool for winter, and long as a dress, mid-length as a tunic, or short as a blouse. 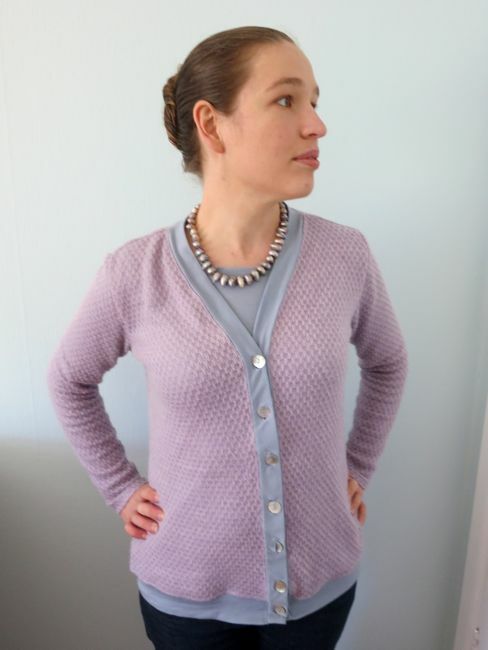 For those with a bit of experience in knits or buttonholes, Working With Knits: Cardigans (Fridays 8, 15, 22 May) teaches more advanced knits skills, including working buttonholes on knits. 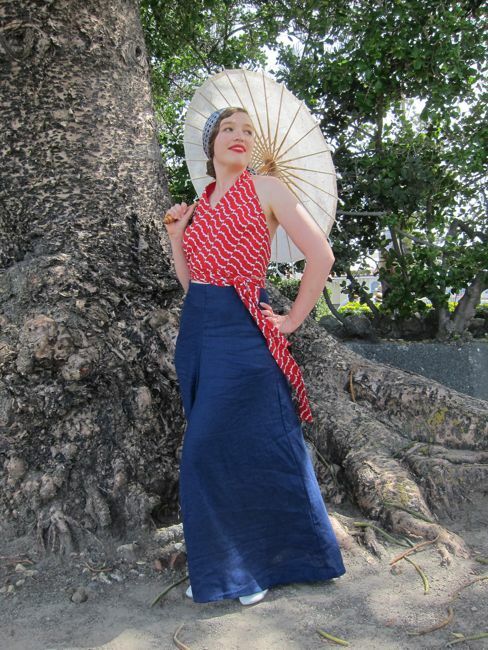 And finally, Culotte Trousers (Wednesdays 22 & 29 April, 13 & 20 May) offers the advanced sewer (or adventurous intermediate) the opportunity to learn a bit about trouser fitting, pattern adaption, and fine finishes. And they are fabulous and so fun and comfortable to wear! Hope to see you in one or more of these courses! Have a class that you’d really like me to teach, or offer again? Leave a comment and I’ll see what I can do! The Dreamstress, aka Leimomi Oakes, is a textile historian and historical seamstress with a strong background in teaching. Her work has been featured in local and international publications, including Threads Magazine. At her School of Vintage sewing you’ll learn vintage, historical and modern sewing techniques, lots of textile history, and how to be an independent sewist who feels confident creating your own designs, drafting your own patterns, and altering commercial patterns.